This is a super McCoy collectible! 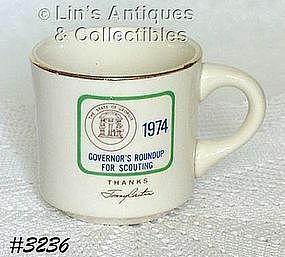 It’s a scouting mug for Georgia’s Governor’s Roundup and has “Thanks, Jimmy Carter” – see photo. Cup is in excellent condition – rim has a small production flake-off (received glaze and gold trim) and is not detrimental. Excellent addition to a collection. 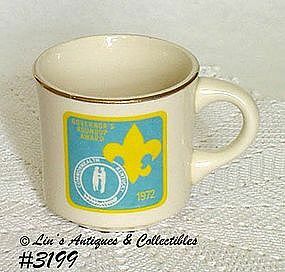 This is a neat Boy Scout cup made by McCoy! 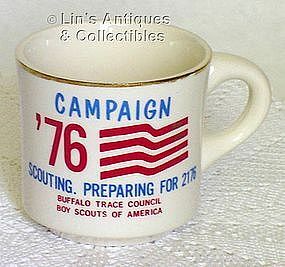 Cup is for “Campaign ‘76” with the slogan “Scouting. Preparing for 2176”. 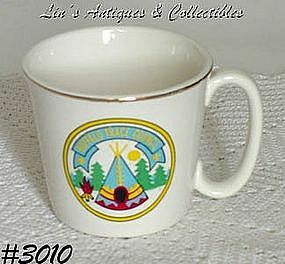 Bottom is marked USA, cup is in wonderful condition with very minor wear to the gold on rim. Very nice collectible! This is a neat Boy Scout collectible made by McCoy! It’s the “Governor’s Roundup Award” for the year 1972, Commonwealth of Kentucky! Cup is in excellent condition and bottom is marked USA.